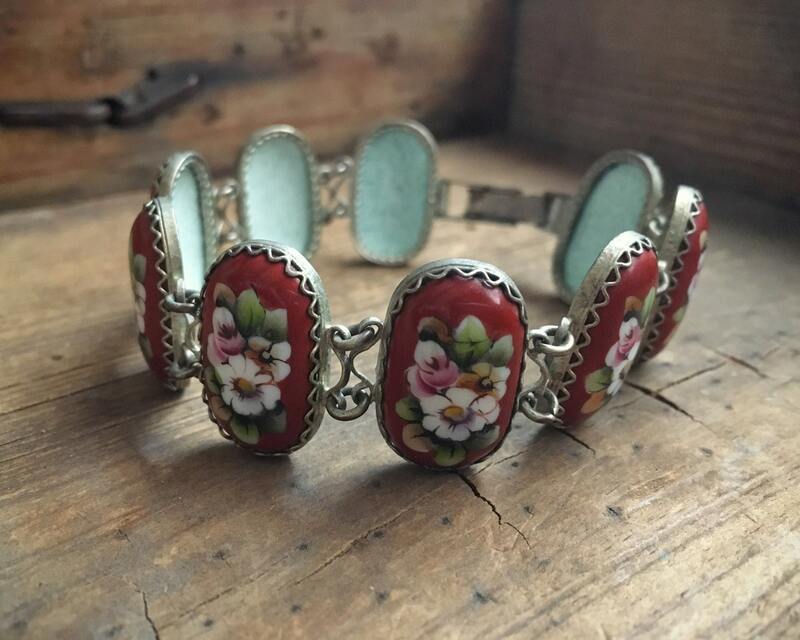 Rostov Finift enamel cloisonné is a centuries old process, and many of these pieces were sold in souvenir shops. 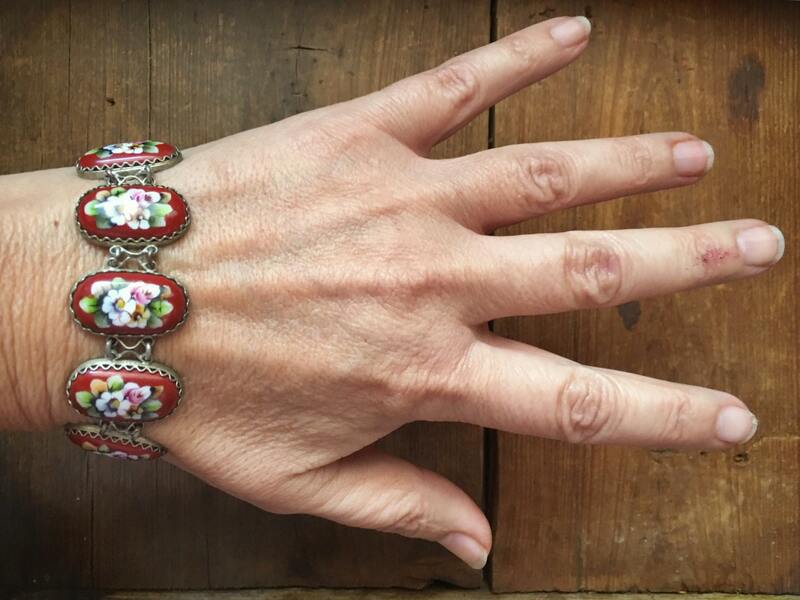 This bracelet is a charming example of the form of folk art jewelry, silver plated over copper, with hand-painted designs in a russet, almost tomato-red background and complementary and contrasting colors used in the flower, which resembles a pansy or Jumping Jack. 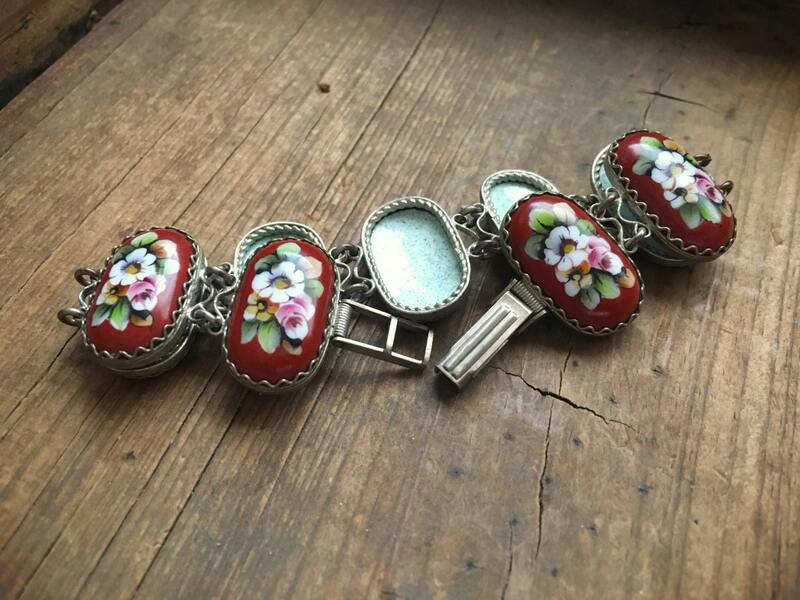 Each of the enamel cloisonné cabochons is set in an ornate bezel with linked together with ornate articulating findings, and closed with a fold over clasp. Note that the clasp is designed to serve slightly as a safety clasp too, in that the rounded end will latch onto the ladder like cross bars. 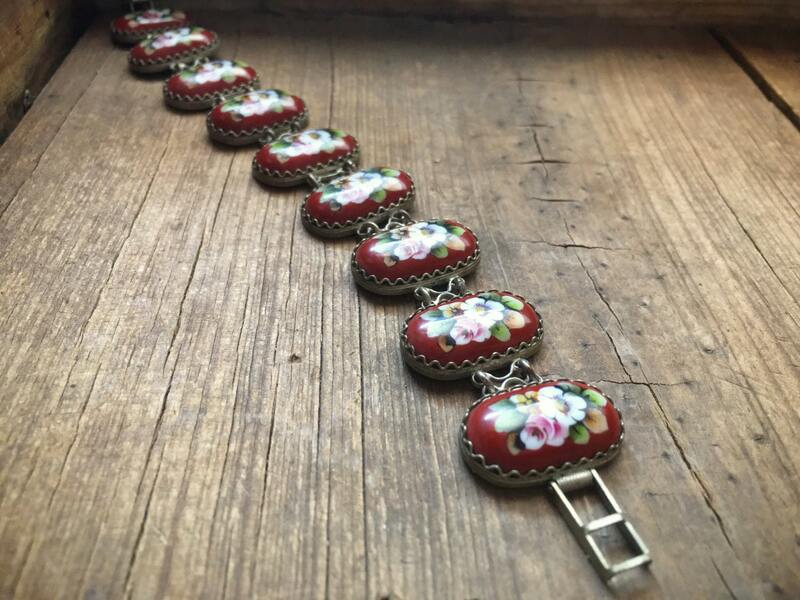 This is not a fail-safe clasp, but it is good enough that it can cause some frustration in trying to get it unlatched when taking off the bracelet. Total length is 8 inches and only about 1/4" shorter when closed. There are two closure settings, but closer one is only about another 1/4" shorter, so plan on the tightest setting to be 7-1/2" total. Each cab measures 1/2" wide by about 7/8" long. 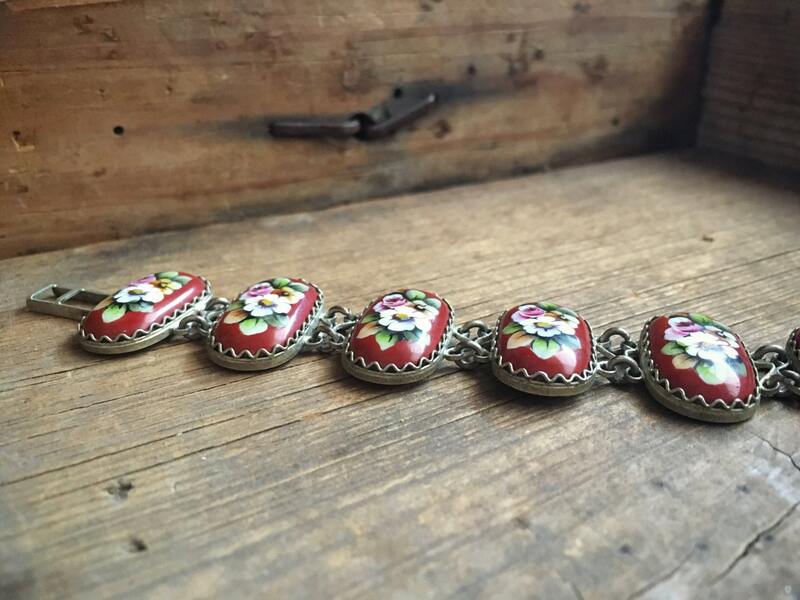 A beautiful piece of vintage art to wear.